CRu Custom Wine Cellars and Saunas has over 20 years of expertise in wine storage and construction. Choosing us means working with the finest design and installation team in the Southeast. CRu exclusively represents the finest craftsmen and makers of custom wine cellars and saunas in the world. When you work with us, you pay the same as you would buying directly with the manufacturer, while receiving ON SITE guidance and service. We work either with your builder, or directly with the you while providing the highest level of service. At Elite Wine Cellars, creating your personal wine cellar is our only business. Whether it is a purely functional cellar to safely store your wine, or a cellar with aesthetic flair to dramatically display your collection, Elite Wine Cellars can craft a custom wine cellar that perfectly matches your needs and tastes. From design and refrigeration to installation, we will work with you to ensure you get the wine cellar of your dreams. If you are in Orlando, FL, security is something you certainly don’t take for granted. This is a great place to live and very family-friendly with theme parks and wonderful weather. You need to protect the property that you own. You need to talk with a locksmith in Orlando, FL if you have not done so already. Our team of experts here at Orlando Paradise Security Locks can make sure that your property is safe. We can get you set up with solutions that will help you to be better protected from theft. Do you use garage door locks? What about patio door locks? Do you have an intercom system to allow for easier communication? These are all solutions that an Orlando locksmith can assist you with and answer any questions about. Our experts have taken the time to familiarize themselves with all major brands, like Yale and Falcon. They know of the latest solutions to hit the market to protect your property. Do you have a commercial property? We can protect that, too. We also offer automotive solutions. Just give us a call if you would like a free price quote or more information on what our Orlando locksmiths can do for you. Call Orlando Paradise Security Locks now (877) 865-7468! 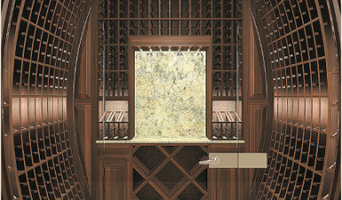 What can an Orlando, FL wine cellar designer do? Your wine cellar design may depend on how many wine bottles or barrels you have, or plan to have, and how you’d like the design to fit with the rest of the house. You may also need to think about the access to the cellar. Do you want a spiral wine cellar with a twisting staircase, a normal set of stairs or a wine room that you can access through a set of doors? 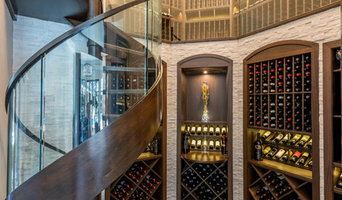 Bespoke wine cellar designers in Orlando, FL will be able to discuss your wine storage solutions with you and advise you on the advantages and disadvantages of each. Once the shell of your cellar is built and the wine cellar technology (humidity and temperature control, UV protection and ventilation) has been installed, you’ll probably need some way of actually storing your wine. Wine cellar designers in Orlando, FL can create all sorts of wine storage solutions for you, including bespoke wine racks for your cellar or custom wine cabinets that can be freestanding or built into the walls of your wine room. Again, your Orlando, FL wine cellar designer can advise you on how best to store your wine and what wine rack designs will work for your collection. Find wine cellar designers or specialists on Houzz. 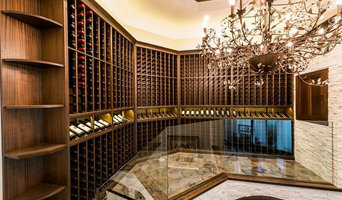 Narrow your search in the Professionals section of the website to Orlando, FL wine cellar designers. You might also want to look through Orlando, FL design photos to find wine cellar designs you like, then contact the wine cellar designers that worked on them.